Join Poets from Trinidad, Abu Dhabi, Hull, Edinburgh, Honduras and London for an evening of poetry, ideas and social activism, developed as part of the Roundhouse’s international spoken word project, Talking Doorsteps, in partnership with PEN international. Talking Doorsteps is a spoken word exchange project that explores the idea of “home” by connecting young poets and filmmakers from across the globe and sharing their work digitally with audiences worldwide. This year the project focuses on the integration of refugee young people and those who have experienced forced migration in response to the international refugee crisis. 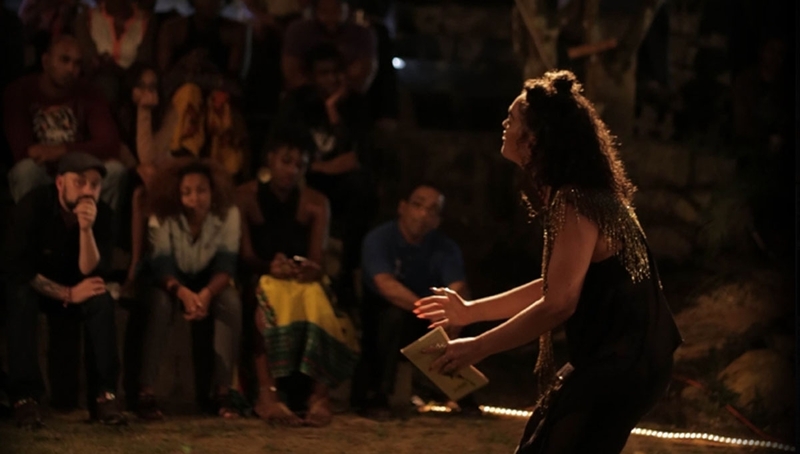 Emerging British artists, who have been trained by the Roundhouse, travel abroad to lead workshops and share experiences with youth arts organisations in other countries. Workshop participants travel back from abroad to the UK, to take part in further collaborative work. The project has taken place with partners in South Africa, Bulgaria, Wales and Lebanon. 2017 has seen us partner with PEN International to work with 80 poets aged 16-25 from Trinidad, Abu Dhabi, Honduras and the UK. We bring together some of these poets for a series of events throughout The Last Word festival. Find out more about Talking Doorsteps.